Some cases illustrate very well the principle that “the more dangerous your operation, the more careful you must be”. This case, involving a joint prosecution by the Ministry of Labour and Ministry of Environment, is one of them. Sunrise Propane Energy Group Inc. and its directors have been fined a total of $5.3 million under both the Occupational Health and Safety Act and the Environmental Protection Act, following high-profile explosions at a propane-filling plant in Toronto more than seven years ago. A young worker with short service was killed by the explosions. Propane was accidentally ignited during a prohibited truck-to-truck transfer. The explosions also discharged contaminants from fuel tanks, resulting in an evacuation in the area. Some area residents suffered injuries and burns and local businesses lost business as they were forced to close. Sunrise Propane was fined $280,000 plus a victim fine surcharge of $70,000 for failing to train and supervise workers on safe work practices and failing to take every reasonable precaution to protect workers, contrary to the Occupational Health and Safety Act. 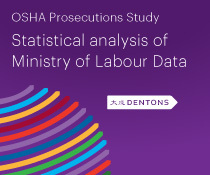 OHSA charges are prosecuted by the Ministry of Labour. 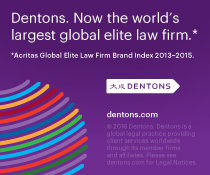 In a previous post, we noted that the court, in its 2013 decision convicting the company and directors in 2013, held that the young worker had not been properly supervised. The employer did not take the simple step of giving the employee a phone number to call if he had any questions. Nor did any supervisors call him to check in on him. The employee should not have been put in charge of the propane yard on the night in question, given his lack of experience. Sunrise Propane was also fined $2,820,000 plus a victim fine surcharge of $705,000 for failing to comply with a cleanup order from the Ministry of the Environment and Climate Change after the explosions, and for discharging a contaminant that caused adverse effects. Two company directors were fined $100,000 each plus a victim fine surcharge of $25,000 each for not complying with an order. A related company was fined $2 million plus a victim fine surcharge of $500,000 for the discharge of the contaminant that caused adverse effects. EPA charges are prosecuted by the Ministry of the Environment and Climate Change. The press release from the Ministry of Labour may be found here, and the press release from the Ministry of the Environment and Climate Change may be found here.